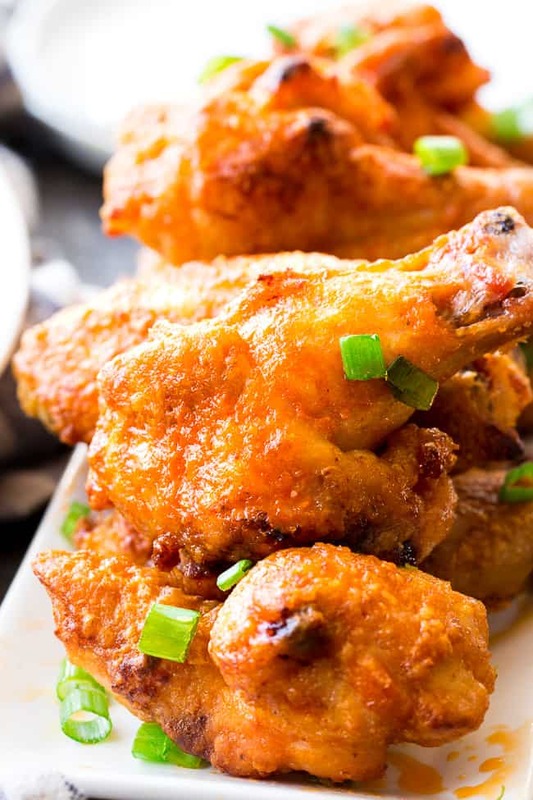 These crispy baked buffalo chicken wings are easy to make, healthy, and ridiculously tasty! They’re paleo and Whole30 compliant and perfect with Whole30 homemade ranch dip. I’m kicking myself for not having made this recipe sooner – it’s a big-time keeper! Adam (husband) wanted to know why we haven’t been eating them for years. Oops. I take full responsibility for inadvertently depriving all of us – you guys included. Admittedly, I’m not the biggest fan of wings. Now, that might be because they’ve made me feel less than great in the past (to say the least! ), but I’m guessing that was more about the gross frying they do in restaurants that my body wants no part of. But these?! 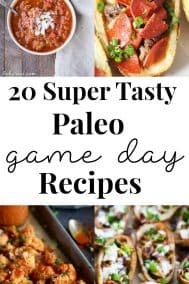 They’re baked, paleo and Whole30 friendly, legitimately easy to make, and taste just like the real deal. They’re even KID FRIENDLY, at least with 2 of my wing-loving kids, which is (duh) important. Well, unless you want to keep all of them to yourself, which I really couldn’t blame you for. Oh, and I made a dip here, too, because wings without dip is upsetting and shouldn’t happen to anyone, especially us Whole30’ers who are working against feeling deprived. No worries, because this easy Whole30 ranch dip is everyone’s favorite over here, as in, we put it on everything and don’t look back. As for the ranch dip, it’s based on my homemade mayo (so good!) although you can also buy a Whole30 friendly avocado oil mayo (such as Primal Kitchen) if you don’t make your own. Along with the mayo, we use coconut cream, lemon juice, and ranch seasonings to get an addicting, so so tasty ranch flavor. Really, you’ll want to start putting it on everything! These wings are perfect for lazy, cozy weekends and great if you’re having guests for (dare I say!) football. I’m not a big football fan, but holy smokes, my husband is. In any case, I hope you’re ready for crispy wings! Get yourself an apron (they’re messy) and let’s start cooking! 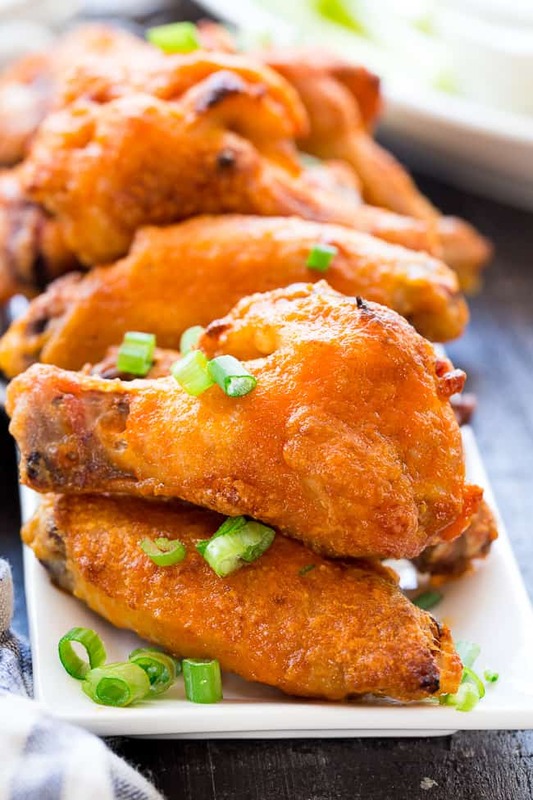 These crispy baked buffalo chicken wings are easy to make, healthy, and ridiculously tasty! They're paleo and Whole30 compliant and perfect with Whole30 homemade ranch dip. Preheat your oven to 425 degrees. Line a large baking sheet with aluminum foil, then pace a wire rack over the baking sheet. Pat wings dry with paper towel to absorb excess water, then place in a large bowl. Sprinkle all over with the arrowroot, garlic and onion powder, salt and red pepper - toss to evenly coat. Arrange wings on wire rack (I had about 12 in my 2 lb package) and place in the middle rack of the preheated oven. Bake at 425 degrees for 35 mins, then dip in the sauce (see instructions below) and raise the heat to 450 degrees. Continue to bake for 10 mins at 450, remove from oven and drizzle remaining sauce over the top. Bake 5 more minutes at 450 degrees, then remove and serve hot, with celery, thinly sliced scallions and ranch dressing! Whisk together mayo, coconut cream, lemon juice, onion and garlic powder, chives and dill until smooth. 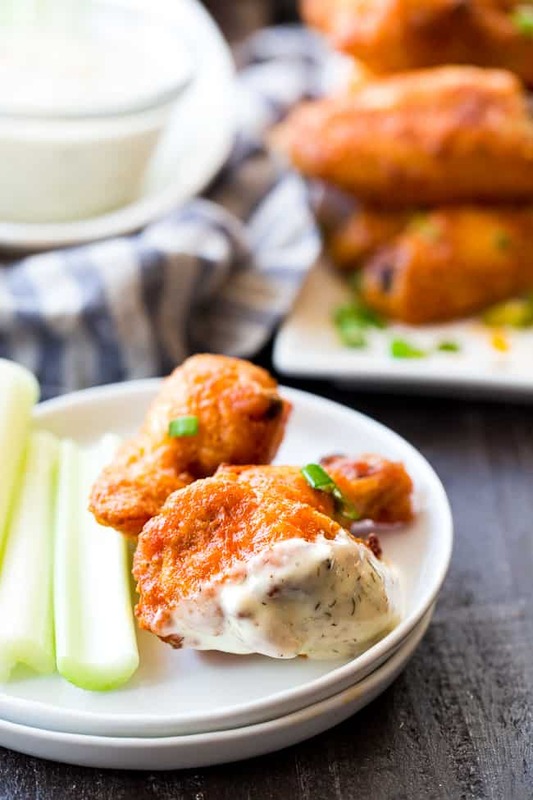 Serve alongside wings as a dip, with celery or other veggies. Enjoy! *This helps make them crispy, but can be omitted if desired. Hi Michele, I just have to send you some love. I am *SO* thankful I just found your blog. 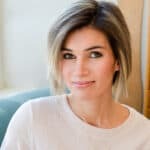 I am a mom of 3 picky eaters and I am currently in a cooking rut. Your recipes are going to save my life. 😉 Everything is so creative and directly in line with my dietary goals. Nothing I need to feel guilty about giving to my kids. They are going to go bananas over the sweet recipes too – if I don’t demolish them first. Thank you for putting out all this quality work!! I cannot wait to try these, everything you make is great! Your homemade mayo is by far the best I have ever had! I’m just wondering how spicy these are? 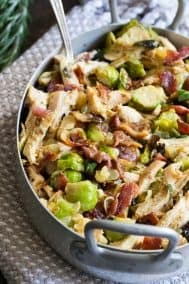 I haven’t tried this recipe yet but looks awesome. Just a question on the hot sauce. I typically like wings mild , so am reluctant to add the Frank’s sauce. How hot are the wings with the sauce? Have you made them without the sauce? Also, instructions say to put wings directly on wire rack in oven. Is there a reason they can’t be out on the baking sheet to avoid having to clean the wire racks? Maybe I misread, but that seems odd. Looking forward to trying them out this Super Bowl Sunday. GO EAGLES!! My thoughts exactly! So glad you guys enjoyed them! Hi Michele!!! I loooovvvveeeee your recipes and i have made many of them! I’m not sure how boneless skinless chicken chicken would work here, the cooking time would be a lot shorter although the sauce itself would work well. Can I replace the arrowroot starch with tapioca starch or coconut power? You can use tapioca, I wouldn’t use coconut. What about regular starch or baking powder? Just made these and they are the best wings I’ve ever had. my husband whose an avid Wing taster agreed, so that’s high praise. Yes they are! I think you’ll really like them! I made these yesterday to bring to a kids party to stick to our whole30 and they were AMAZING! I was wondering if you had any suggestions for making them boneless. My husband thinks the bone is ‘too much work’….. Happy you liked it! I think the skin is key here for crispiness and flavor so not sure a boneless skinless version would work, but if you can get skin-on chicken already with bones removed that would be great. 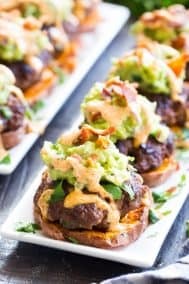 I made these tonight for us to eat during the Super Bowl and they were delicious (I served with sweet potato fries). 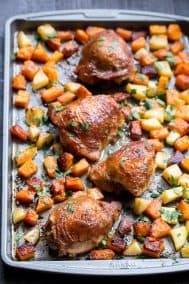 I used chicken thighs and took the bone out before cooking because my hubby prefers boneless. He loved them! Thanks for the recipe! SERIOUSLY???!!! Sent a picture of my dinner to all my Whole30 pals. Made these tonight. Super easy as well as super delicious. Made with chicken drummies instead of wings. Bravo girl! Thanks for sharing your gift. Will be making these for years to come. I am making these this weekend and very excited. Looks amazing! 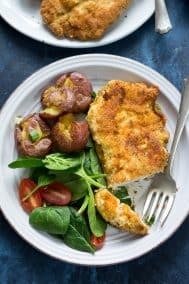 Any idea what I could substitute for the ghee? If you don’t need it to be Whole30 then butter would work well! Making these for someone who can’t have ANY dairy, not even ghee. 🙁 Do you think Earth Balance would be an okay substitute for the ghee? Hello! 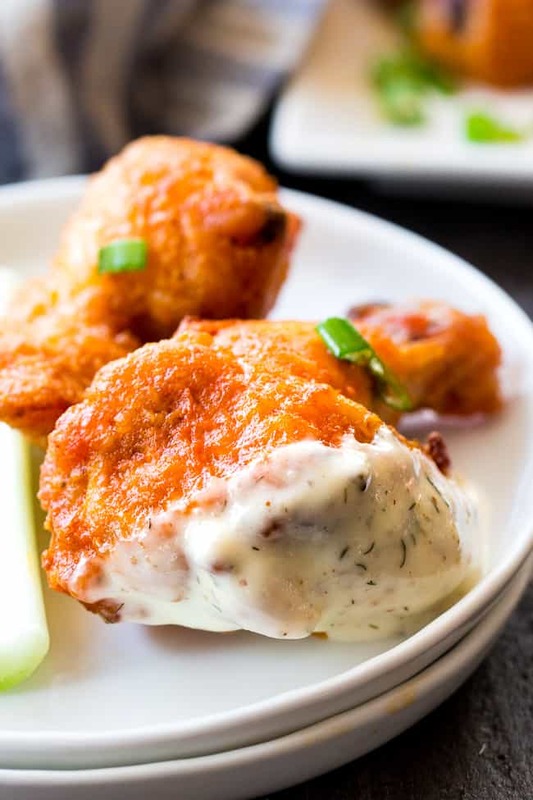 These wings are on the menu for tomorrow but I just noticed that your easy ranch dip recipe doesn’t call for the coconut cream but this one does. Which do you prefer? How does it change the ranch flavor? Thanks!! Thank you!! I used this recipe for Super Bowl Sunday yesterday, subbing in cut-up chicken tenders as “nuggets” since we had a package that needed to be used. Even with the boneless skinless tenders, this came out perfectly! I think I baked them for about 20 min initially, before coating with sauce and baking 10 min longer. Served with Tessamae’s ranch dressing. So good! Looks delicious! If I made them tonight, how long do you think the leftovers would last in the fridge? I am wondering if I could take them with me on a trip I’m taking Thurs-Sat (today is Tuesday) and heat them up in a tiny oven while I’m gone. Any help appreciated! Made them tonight… Delicious!! Thanks for a great recipe! 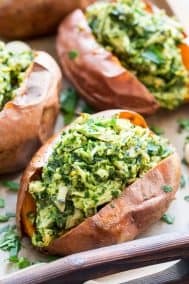 My husband and I are planning to just have these our next Whole 30! 🙂 They are SO GOOD!!! Thanks for sharing your gift! Thanks for sharing!! Your recipes are awesome! Love these!! My son asks for them at least weekly. These are awesome! I made them today for lunch and they are sooo good. I like buffalo wings that are on the drier side with the sauce/seasoning and these were perfect! So glad I found your website and all these yummy recipes. Thank you so much! 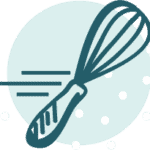 All of your recipes are reliably delicious. 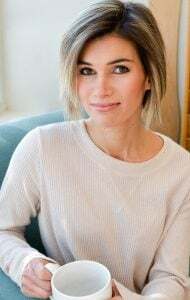 You are my go-to for inspiration and healthy recipes. 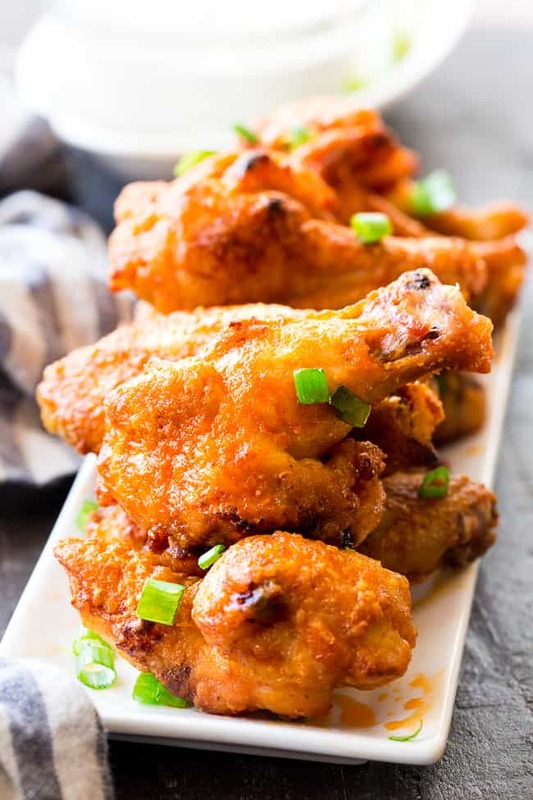 This buffalo wing recipe is absolutely delicious! I used tapioca flour and it worked well! I have never been a wings fan, but decided to make these for a Seahawks game one afternoon. They were SO delicious! My husband (who loves wings) says they were some of the best he’d ever had. Honestly, I think the magic is in the baking method and the arrowroot starch. They came out so crisp and had the perfect amount of heat. Thank you, Michele, for creating a recipe that allows me to finally understand what people love about wings! These wings are AWESOME! My (non-paleo) hubby claims they are possibly the best wings he’s ever had! I’ve made these before and absolutely LOVED them. 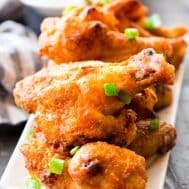 I was wondering if I can make them with frozen wings if I just adjust the cooking time? These do not disappoint! The boyfriend is particular about his wings and he gobbled these up! Just made these and best wings hands down! The arrowroot is what really made them crispy! My boyfriend even said these were the best wings he has had, and that says a lot!! So glad I found this recipe! Will be making more in the future. My husband and I did our first Whole 30 this January and we had a party to attend midway through. I brought these wings as an appetizer so that there would be something that he and I could pick on. The entire party devoured them in minutes and everyone asked for the recipe. What a hit! My husband said he could have lived the entire month of whole 30 just eating these wings. Delish! 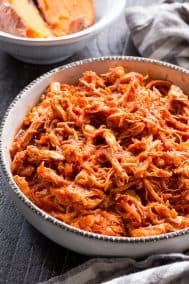 Can’t wait to try the BBQ version this weekend! They were tasty but made an unholy mess. I also added 1/2 tsp of baking soda to the dry spices so the wings would be crispier. 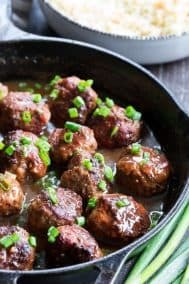 Made these last night for dinner and I just have to say thank you! I’m not typically a wing person but i LOVED these! My boyfriend even said he wanted to make them for every football Sunday in the fall! Arrowroot powder isnt paleo. paleo isnt just anything without grains. No processed ingredients. Soooo good!! My husband and 2 year old loved it! These were amazing!!! Huge hit at my house!!! Thank you so much for sharing! OMG. Best wings I have ever made, and eaten (and I’ve eaten wings lots). Thank you for this recipe. I will be doing it regularly in my house. Forgot to give stars! You rock!